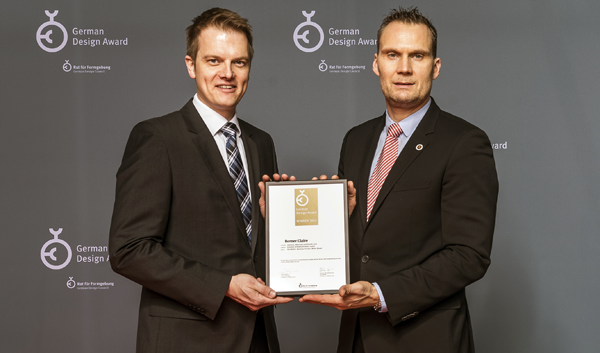 At the Ambiente trade fair in Frankfurt, Germany Berner International received the German Design Award on 13th February 2015. The German Design Award is the international premium prize of the German Design Council. The German Design Council is one of the world's leading centres of expertise on brands and design. The aim is to represent new German designs. Founded in 1953 by decree of the German Federal Parliament at the German Bundestag, it supports the business world in all aspects of design. The managing partners Malte Schneider (l.) and Thomas Hinrichs (r.) at the German Design Award ceremony. The Berner safety cabinet Claire, awarded the premier prize in the category Excellent Product Design, brings together a modern design, maximum safety and efficient work. Prizes will be awarded to top quality products, their manufacturers and designers for pioneering contributions to the German and international design landscape. The goal of the German Design Award provides design enthusiasts with the opportunity to participate. This year the jury chose the German company Berner International as a winner among many other competitors in the category Excellent Product Design - Industry, Materials and Health Care - with the newly developed safety cabinet Claire. 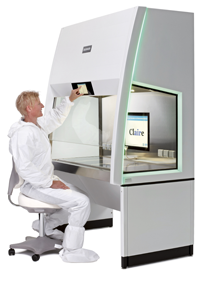 Statement of the jury: „"Berner International’s Claire safety cabinet was developed specially for use in laboratories with especially high safety requirements.The workbench is highly modern in appearance and provides ultimate safety, intuitive use and low energy consumption. A system for detecting air-flow velocity ensures additional safety. Together with light bands that indicate the operating status, the shield design also provides visual protection, facilitates use and visualises technological progress. 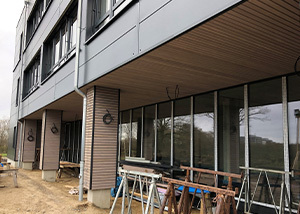 Here, an aesthetic common denominator has been made for the highest standard of safety and efficient work." Statement made by the following jury members: Nicole Huffer, Ruwen Kaminski, Jun.-Prof. Dr.-Ing. Jens Krzywinski. Claire also sets new standards in the area of environmental protection. The safety cabinets are important safety relevant laboratory devices. As they are in operation 365 days and 24 hours a day, electricity costs play a significant role. The power consumption of Claire was lowered from about 500W for standard safety cabinets to 85W. During the lifespan of a safety cabinet this means electricity savings in the range of five figures. For further details on the safety cabinet Claire by Berner International.